The Department of Pediatric Cardiology, Intensive Care and Pulmonology at the University Hospital Tuebingen offers the full range of diagnostics and treatment of cardiovascular diseases, congenital heart defects, pathologies of the respiratory system organs, as well as high-quality intensive medical care for infants, young children and adolescents. When treating children with cardiac pathologies, the specialists from the Departments of Cardiothoracic Surgery and Cardiology are often involved. The department is a certified supra-regional Center for Adults with Congenital Heart Defects. The Chief Physician of the department is Prof. Dr. med. Michael Hofbeck. The department has its own modern Cardiac Catheterization Laboratory with a biplanic digital fluoroscopy and angiography system, a digital measuring station and a digital system for the following processing of images and archiving. About 300 young patients (from newborns to adolescents) are diagnosed and treated annually within the framework of the laboratory. In addition, the department is among the few medical facilities in Germany specializing in Melody transcatheter pulmonary valve replacement. This procedure is one of the most progressive in the field of cardiology, and therefore it is performed only in highly specialized centers. The intervention is performed without opening the chest and leaves no scars. It also takes about 3 hours to perform. 1975 - 1981 Study of Medicine at the Universities of Regensburg, Erlangen-Nuremberg. 01.18.1982 Doctoral thesis defense at the Faculty of Medicine of the Friedrich Alexander University of Erlangen-Nuremberg. 01.1982 - 03.1983 Military service in the German Bundeswehr (Captain of the Medical Service). 04.1983 - 03.1988 Qualified Pediatrician in the Department of Pediatric and Adolescent Medicine at the University of Erlangen-Nuremberg. 04.1987 - 06.1989 Qualified Pediatric Cardiologist in the Department of Pediatric Cardiology at the University of Erlangen-Nuremberg. 07.1989 - 06.1990 Specialization in the Department of Pediatric Cardiology of the Hospital for Sick Children, University of Toronto, Canada. 07.1990 - 08.2000 Senior Physician in the Department of Pediatric Cardiology at the University of Erlangen-Nuremberg. 11.02.1993 Doctoral thesis defense on Pediatrics, Faculty of Medicine at the University of Erlangen-Nuremberg. 12.02.1996 Optional qualification "Special Pediatric Intensive Care Medicine", Bavarian Medical Chamber of Munich. 10.08.1999 Appointed as an Extraordinary Professor at the Friedrich Alexander University of Erlangen-Nuremberg. 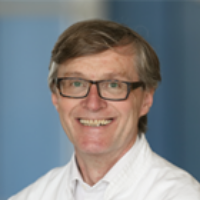 Since 01.09.2000, Chief Physician of the Department of Pediatrics at the Faculty of Medicine at the University of Tuebingen and Head of the Department of Pediatric Cardiology, Intensive Care and Pulmonology at the University Hospital Tuebingen. 08.04.2008 Additional qualification in caring for adults with congenital heart diseases of the German Societies of Cardiology (DGK) and Pediatric Cardiology (DGPK). Since 1999, Deputy Head of the Working Group on Embryonic Echocardiography of the German Society DEGUM. Since 2000, Member of the Scientific Council of the German Heart Foundation. Since 2001, Deputy Head of the Pediatric Section of the German Society DEGUM. 01.2002 - 12.2003 2nd Vice President of the German Society of Pediatric Cardiology. 01.2004 - 12.2005 President of the German Society of Pediatric Cardiology. 01.2006 - 12.2007 1st Vice President of the German Society of Pediatric Cardiology. 2005 - 2007 Board Member of the South German Society of Pediatric and Adolescent Medicine. 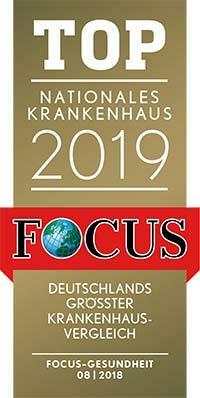 Since 2004, Member of the interdisciplinary Working Group "Adults with congenital heart defects" of the German Society of Cardiology (DGK), the German Society of Pediatric Cardiology (DGPK) and the German Society of Cardiothoracic Surgery (DGTHG). 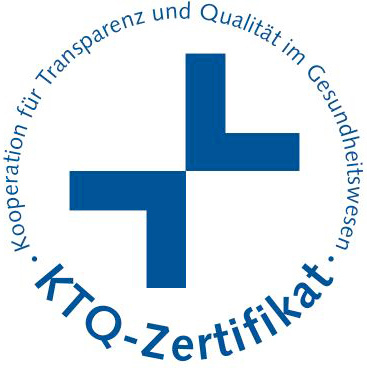 Since 2005, Member of the interdisciplinary Project Group "National Quality Control of the Treatment of Congenital Heart Diseases" of the German Societies DGPK/DGTHG. 2006 - 2012 Member of the University Commission of the German Society of Pediatric and Adolescent Medicine. Since 2007, Member of the Scientific Council of the Academy for Advanced Training of the German Society of Pediatric Cardiology (DGPK). Since 2012, Head of the Academy for Advanced Training of the German Society of Pediatric Cardiology (DGPK). Since 2009, Member of the Coordinating Committee of the Network of Competent Private Healthcare Institutions. Since 2010, Member of the Commission on Echocardiography of the German Society of Pediatric Cardiology (DGPK). Since 2010, Member of the Committee for Advance Training of the Regional Medical Chamber of South Wuerttemberg. 2011 President of the 43rd Congress of the German Society of Pediatric Cardiology in Weimar. Department of Pediatric Cardiology, Intensive Care and Pulmonology.